Our Beaver stress ball is a cute cousin of Bucky. You can have a custom imprint put on the belly of a beaver stress reliever. Hand them out at fairs, trade shows and all events. 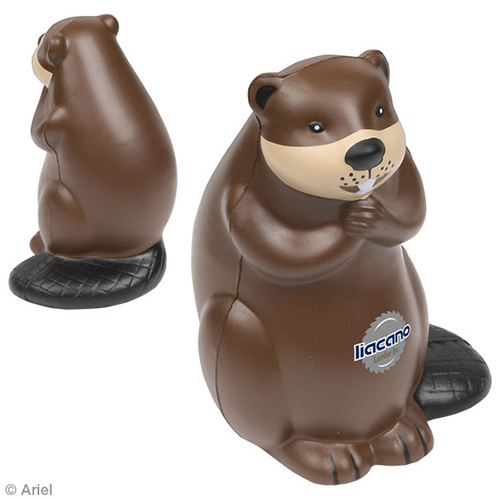 Beaver stress balls make wonderful promotions because they are light weight and durable. Item Size : 2-3/4" x 4" x 2-1/2"